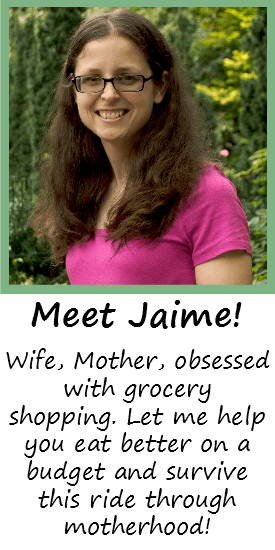 I’ve got a super easy side item for you today! 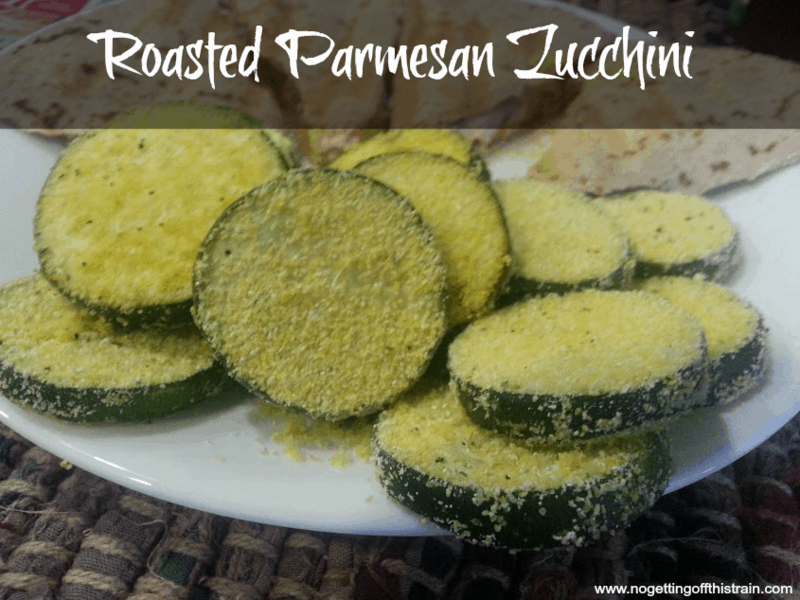 Zucchini’s very cheap in the summer but I still enjoy it year-round, and this roasted Parmesan zucchini is easy to make and goes great with almost any dinner! First take 2-3 zucchini and slice them into rounds. Aldi is my favorite place to get them; in the summer a 3-pack goes down to $.69, but $1.69 in the off-season isn’t a bad price either. Coat the zucchini in cornmeal. I saw this in another recipe one time and decided to try it. I never thought to use cornmeal in roasting my vegetables, but it gives the zucchini an interesting texture! 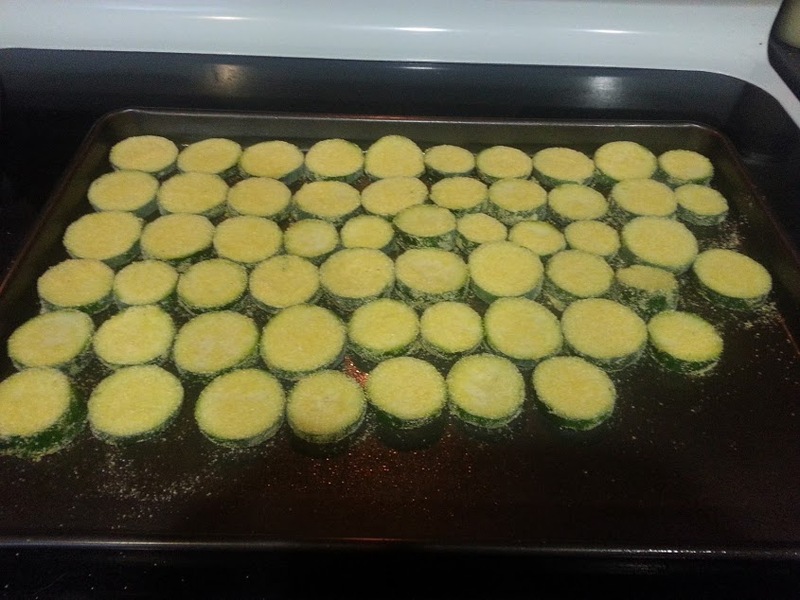 Place the zucchini flat on a greased baking sheet, and sprinkle Parmesan cheese, salt, and pepper over them. Bake at 400 degrees for about 20 minutes until the zucchini is nice and soft. I never thought I’d be a big fan of vegetables, but this zucchini is seriously delicious. I like to dip most of my roasted vegetables in Dijon mustard; I don’t know why, but it just tastes so good! You should try it sometime. 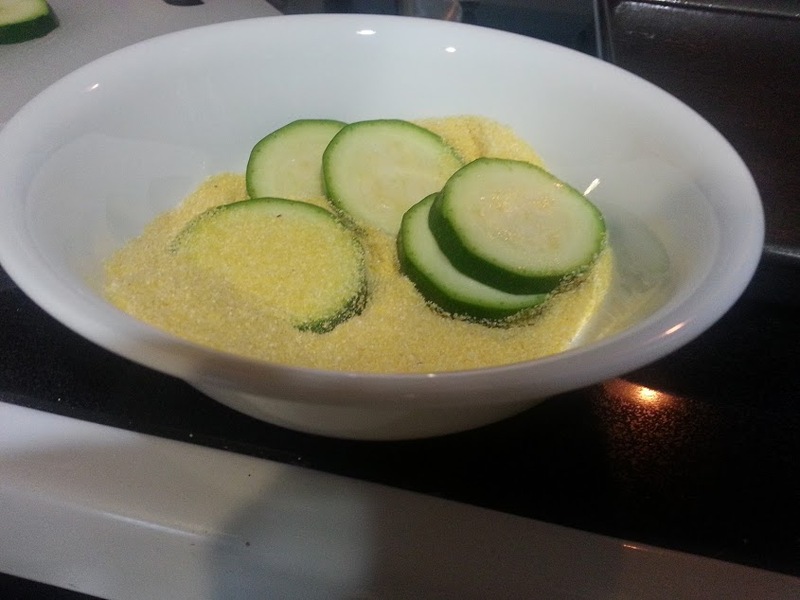 Dip the zucchini into the bowl of cornmeal, covering completely. 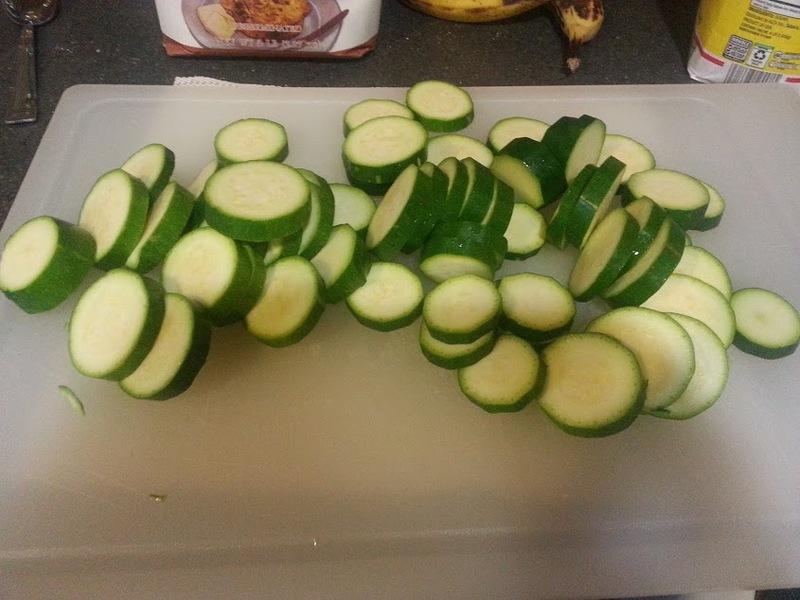 Place the zucchini flat on a greased baking sheet. Sprinkle Parmesan cheese and salt and pepper. 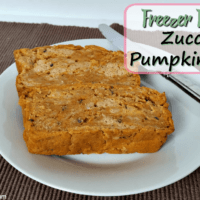 Bake for 20 minutes until the zucchini is soft.